UNC Cadence A Cappella performs at the UNC Dance Marathon. Carolina For The Kids Foundation hosted the marathon, a no-sitting, no-sleeping event comprised of over 2,000 students who remain standing for 24 hours at Fetzer Gym, on March 22 and March 23, 2019. The event is a culmination of year-long fundraising efforts which raised $440,955.07. The money raised goes toward providing families with financial and emotional assistance at UNC Children's Hospital. Students who attended the marathon watched the basketball game between UNC and Iona, danced, watched musical performances and more. Students participated in the marathon for a various personal reasons, including having their own family members in the hospital or, "seeing how much of an impact we can have on a family," said Jessica Martinson, a junior and biology major. UNC Dance Marathon beat its 2018 total, raising over $440,000 for patients at UNC Children's Hospital. UNC Dance Marathon is a yearly fundraising event that requires participants to remain on their feet for 24 hours in a no-sitting, no-sleeping challenge. Since it was founded in 1998, 10,000 students have volunteered to be a part of the event. 13 active committees work all year long to organize and publicize the event. In 2014, UNC-DM raised $551,595.87 for N.C. Children’s Hospital. With that money, it is providing 13 different grants to kids. Bright and early on Sunday morning, Tar Heels of all ages gathered around the Old Well to run the sixth annual Kilometers For The Kids race. Carolina for the Kids, a UNC organization dedicated to supporting the families and children of Chapel Hill, raised money to give two specialized grants to UNC Children’s Hospital last month. Carolina For the Kids hosted its annual Dance Marathon on Friday and Saturday, following an 18-year tradition. The event raised $420,062.95. Ask a Dance Marathon dancer: How do you feel with only one hour left? UNC Dance Marathon, a 24-hour event sponsored by Carolina For the Kids to raise money for UNC Children's Hospital, took place from 6:30 p.m. Friday to 6:30 p.m. Saturday. He’s Not Here reopened Friday, and patrons couldn’t help but celebrate. This summer, Carolina For The Kids checked a goal off its list — opening a new facility for UNC Children’s primary care services. Months of planning, recruiting and fundraising culminated with 24 hours of standing — and $570,561 raised for N.C. Children’s Hospital. 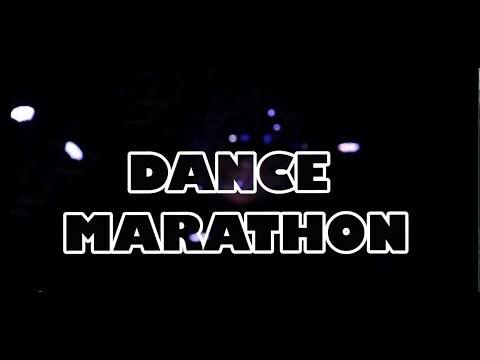 What does it take to make Dance Marathon happen? Making $25,000 in a year would be impressive for most college kids — but Carolina For The Kids Foundation, the group formerly known as UNC Dance Marathon, will try to raise it in a little more than a day. Carolina For the Kids, previously known as Dance Marathon, is helping to fund a pediatric clinic run by N.C. Children’s Hospital but is not giving up on its two main programs. Carolina for the Kids, formerly known as Dance Marathon, announced another big change regarding its future on Saturday — instead of fundraising for the N.C. Children's Hospital as usual, the group will raise money to build a clinic for it. The Pit will see significantly fewer people dressed in grape suits and tutus now that recruitment week for Dance Marathon — the most popular event put on by the recently renamed Carolina For the Kids Foundation — has finished. UNC Dance Marathon is getting an identity makeover. A low crackling of bubble wrap under the aching feet of dancers slowly turned into a roar of balloons popping underfoot as UNC Dance Marathon celebrated the greatest amount of money it has ever raised for North Carolina Children’s Hospital — $551,595.87. Lying on the floor of the Fetzer Gym lobby, senior David Zittrouer finally had a chance to relax. The overall coordinator for Dance Marathon, who himself had just stood for 24 hours straight, had a lot to celebrate.